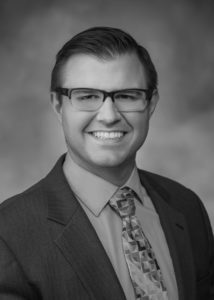 Anthony joined the attorney team in January 2017. Based in the firm’s downtown Rochester office. He serves as an Associate Attorney where she supports the Michigan Litigation Department. Prior to his new role, Anthony has held several Clerkships and Internships of note, including working as a Law Clerk at the Macomb County Circuit Court and the Honorable Kathryn A. Viviano at the Macomb County 16th Judicial Circuit Court. Anthony earned his J.D. from and a B.S. in History from Central Michigan University. Anthony has gained a great deal of real estate and finance experience in his previous positions, including serving as a mortgage underwriter at a local wholesale mortgage company. He enjoys knowing he makes a difference through his philanthropic activities. One of Anthonys most rewarding experiences was heading up a project that helped create awareness and prevention for senior homelessness. He is a member of the Michigan State Bar and a certified Notary Public.